Generates star shaped glints at locations where the Source clip is brighter than the threshold. 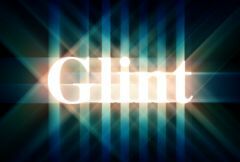 Lower the threshold parameter to produce glints in more areas. Adjust the size and brightness parameters to make different types of glints. Glints are best observed on dark images with a few bright spots.